How Emo Is Your Phone? The News We've Been Waiting For? 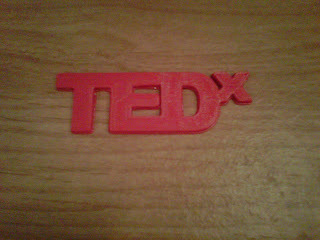 I've been trying (unsuccessfully) to wrap up my ideas and experiences from attending TEDxManitoba on Tuesday. The whole point of gathering 20 amazing speakers and 100 attendees from all walks of life was: Ideas Worth Spreading. The attendees were chosen very carefully. We each met the criteria that TED looks for and were tasked with the somewhat overwhelming responsibility of taking all these ideas that were thrown at us and running with them. So - what ideas am I going to spread? What do I have to contribute to the conversation? How the hell is this little mommy from Winnipeg going to change the world? 1) Tell all my nerdy friends (I've got A LOT of them!) that robots are not going to enslave mankind if they ever reach consciousness. The Darwinian Survival of the Fittest instinct in not strong in them. 2) Plant the seed started by Karen Letourneau by harassing... um... I mean.. gently nudging the ultrasound operators that I meet in Edmonton about their standards. Perhaps ask them if they know how to pick out a heart defect in a fetus? The seed might grow into someone asking questions and changing practices for another province or two. 3) Find a way to supplement my children's education by teaching them by doing (or playing) instead of lecture and workbook sort of activities. They will get enough of the latter at school. 5) Something I've already been doing a lot of, but need to be reminded every now and then - take the kids outside. Show them the life beyond the edge of the screen. I've been told that this logo was 3D printed. I took a 2D pic of it. So if you took this photo and tried to print it - my mind would kerplode! 7) There is such a thing as a "cousin rock" and Caitlyn and Devin shall have one when we next meet. 8) Winnipeg as a community needs to stop with their self-deprecating attitude. We live in a wonderful city with amazing, talented people and a rich culture. (Oh and I think I met a future mayor of Winnipeg as well, although he won't admit it). 9) It is possible to be allergic to watermelon, but not the seeds, just the flesh. What? Ground breaking. 10) A sabbatical from your day job (in this case it was computer programming) is the best thing for a person. It leaves you free to pursue your other dreams. Gosh, I feel like I've just written a "Ten Things I Learned on My Summer Vacation"-type essay. More thoughts to come as they become realized within the swarming mass of buzzing that is currently my brain. I hope you keep motivated and spread your experience as widely as possible!